As well as launching its brand-leading REGZA Z series, Toshiba has also introduced a batch of REGZA XF LCD TVs designed for those after something a bit more stylish. The new sets have a bezel measuring just 23mm, half that of the previous range. Toshiba inevitably wants the REGZA XF to be instantly recognisable to anyone in the market for a new set. 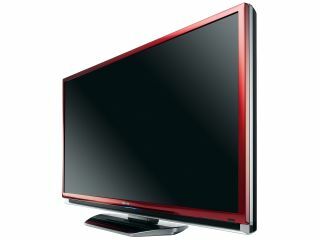 And it's making this happen by adding some stylish aesthetics to an otherwise average range of televisions. "The superb exterior of the XF series compliments a raft of ground-breaking LCD technologies that make these stunning TVs as cutting edge as they are desirable," says Toshiba. "In addition to Toshiba's proprietary Active Vision LCD picture processing, each model is equipped with a total of 3 x HDMI inputs - all of which are compatible with Toshiba's REGZA Link technology, allowing Consumer Electronics Control (CEC) interactivity with other Toshiba REGZA Link hardware such as the new HD DVD players." There's no 100Hz processing to be found here, nor is there support for 24fps input like the Z series has. Still this new range of 40 and 46-inch televisions is bound to appeal if you like your TV to look good switched off as well as on. There are also some cool Onkyo speakers integrated into the front panel, as well as a digital tuner for catching those Freeview channels you've been eyeing up.